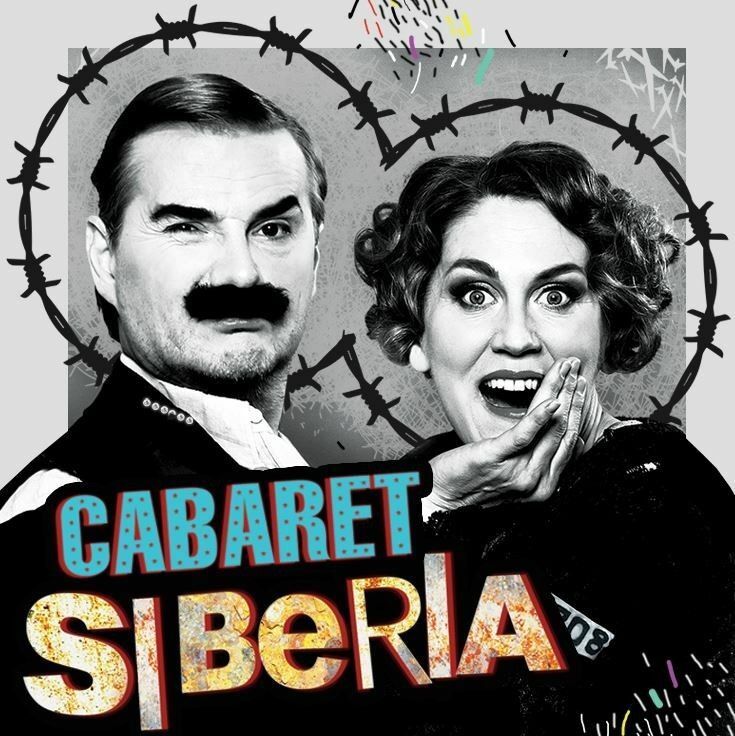 “Cabaret Siberia” is a story of two famous pre-war cabaret actors Mel and Max who are sent to Gulag camps. Regardless of the serious, even tragic events on which the piece is based, genre-wise, this is a funny cabaret performance. More than just a historical account, it is a reflection on the essence of the human nature and on life in general. The contrast between the theme and the genre is the main axis of the performance. This bizarre performance create a deeper understanding of the phenomenon of human existence and the main reasons that make it possible for us to be happy in this all-too-temporary world. This is a story of only being able to survive in a world devoid of presumptions – in a world where you just live your own life and love those who are close to you. By adhering to these principles, Mel and Max survived and helped to save hundreds of people living under the same brutal conditions. The performance is an inspiration to us here and now; it must remind us that every day is an excellent time to reflect on our own existence. It is not only travel in time and space – it is a travel into our souls. “Cabaret Siberia” consists from 10 unique musical numbers tied together by short dialogues to outline the time and place of the action. Performance is coproduction of Latvian “Theatre TT” and Estonian “Piip ja Tuut Teater”, its Estonian premiere took place in Tallinn at March 6, 2018 in the hall of Railway station of Tallinn. Estonian critic Veiko Marka wrote: Toomas Tross and Haide Männamäe are showing up their skills in three styles of performing arts: cabaret, clowning and spoken drama. In all three they are equally good. The styles are mixed in good taste into one performance and none of it doesn´t dominate. Tempo of production is changing smoothly, thoughtfully; kinetical and statical scenes are in proportion. In resume, we have a chance to enjoy production which form and content are so unique that I can only shout: ooh! and aah! (weekly magazine SIRP). Author and director of the performance is Lauris Gundars from Latvia, only two parts of Mel and Max are played by Estonian artists Haide Männamäe and Toomas Tross. Composer of unique musical score of the performance is Estonian Siim Aimla, he is also conducting specially for this performance created “Paradise Orchestra”. Scenographer – Jaanus Laagrikull (Estonia), costumes by Rūta Kuplā (Latvia). The performance is dedicated for 100 anniversary of independence of both Baltic countries.